The Creta continues to remain the most popular SUV in this space, selling more than 10,000 units on an average over the past six months. The S-Cross, though second, is far behind the Creta. Renault/Nissan have three cars in this bracket and their sales figures combined, still won’t bag second place. The compact SUV and crossover segment continues to stay relevant despite the onslaught of SUVs that have been slotting above and below it, right, left and center. Every carmaker seems to be working on an SUV in some segment and some almost have one in each price bracket. Despite that, this segment has been moving ahead strongly, with 14,370 vehicles sold in February 2019. Have a look at the numbers below to find out how the different SUVs and crossovers in this segment performed. Hyundai Creta not giving up its lead: Every month we do this story, hoping to see some other SUV make a play for the Creta’s position, but at this point it just seems impossible that that will happen. The Korean SUV just continues to build on its popularity month after month, with average sales figures of more than 10,000 units every month. 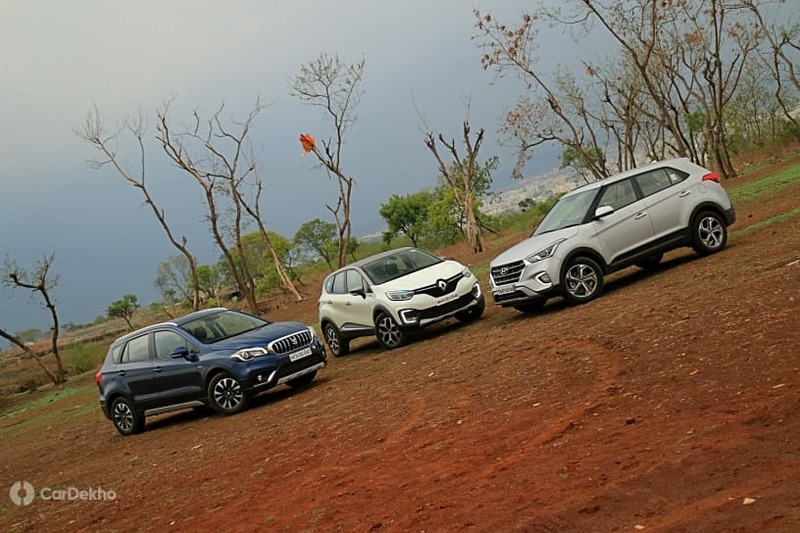 Maruti can’t catch up to Hyundai: The S-Cross has been enjoying consistent sales numbers in this segment, but it’s not able to catch up with the Creta on the popularity chart. Its average sales for the last six months are 2752 units and it holds the second spot in this segment, way below the Creta. Renault/Nissan making up the numbers: The alliance has three cars in the segment - Nissan Kicks, Renault Duster and Renault Captur. The Kicks did well, selling 1370 units in just over a week in January. However, come February, those numbers dropped down to 609 units in a month. Honda BR-V not in it for the glory: Don’t beat yourself up if you forget that the BR-V exists. Honda only sold 270 units of it in February, which boils down to approximately 9 units per state in India. Good luck spotting it on the roads. The average sales figure of the BR-V over the last six months is slightly better (365 units).